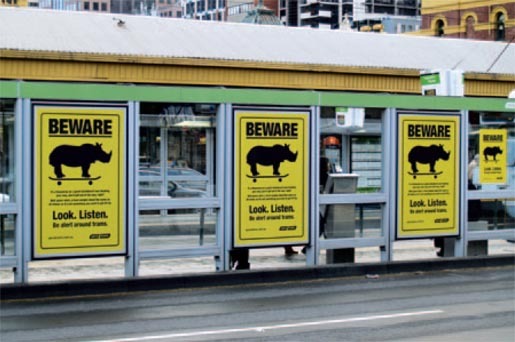 Yarra Trams in Melbourne, Australia, used rhinos to remind pedestrians to be careful around trams, and not let distractions like mobile social media, headphones, and text messaging place them in danger. The ‘Beware the Rhino’ campaign, aimed at the pedestrian group most at risk of being hit by a tram – 18-30 year olds, points out that a tram can weigh up to 50 tonnes, about the same as 30 rhinos. A fully integrated campaign with multiple digital and traditional executions, the ‘hero’ – a silhouetted rhino on a skateboard, creates a distinct and unique way to deliver the safety message while avoiding ‘authoritarian messaging’ so easily rejected by the younger target group. 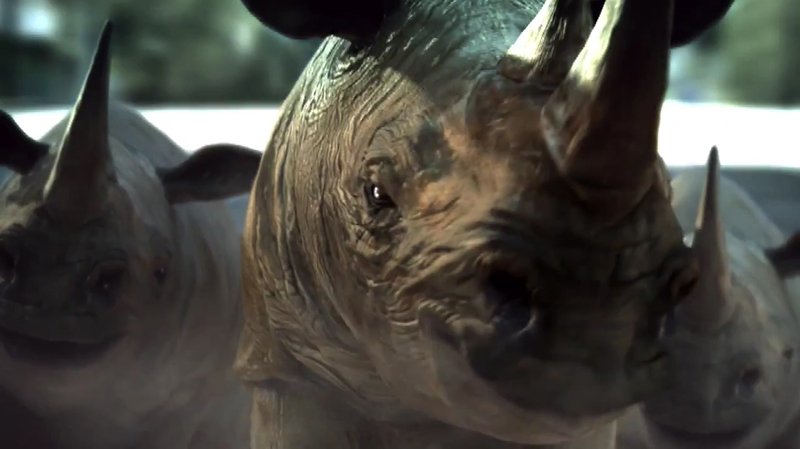 The Rhinos campaign was developed at Helsinki Agency, Melbourne, by creative director John Hillier, senior art director Mikey Tucker, and senior copywriter Julian Penwright, account director Susie Cotterill, working with Yarra Trams CEO Michael Masson, marketing manager Matt McDonnell, communications manager Colin Tyrus, communications advisor Jake Hatton, marketing coordinator Kylie Clapham.